Learning begins with vision as newborn babies study lights, shapes and faces at about eight inches from the face. According to occupational therapist A. Jean Ayres, (who developed sensory integration theory), the eyes and neck are the first body parts that develop control. The brain uses sensory information from the eye and neck muscles and inner ears to “take a picture of what is seen" and process it (interpret it) in order to make sense of what one sees. 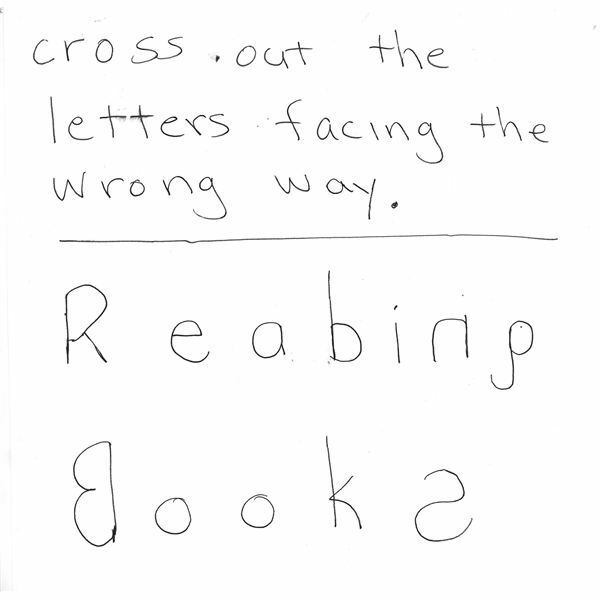 Developing these early visual skills is the first step in preparing to read and write. These visual skills develop naturally as babies interact with their environment, whether watching a ball roll, a bird fly, or a finger puppet dance around in front of their face. However, learning is enhanced when experiencing passive movement, such as traveling in a baby carrier and active movement such as crawling through a play tunnel or sorting through toys in a sandbox to find a favorite shovel. Toddlers and preschoolers develop visual and cognitive skills to anticipate where a ball will land, throw bean bags toward a target, follow a bubble to pop and draw circles on large cardboard boxes. These activities combine vision and movement to develop visual tracking, fixation (the ability to hold gaze on an object) and crossing midline skills. These visual skills will enable children to fixate on pictures, letters and words, move the eyes along a line of print and draw lines inside mazes. Occupational therapists evaluate children who struggle with reading and writing to pinpoint specific visual and/or visual perceptual impairments that impact school performance. They may recommend an evaluation by an optometrist since treatment may involve eyeglasses, eye patching, (to strengthen the weaker eye) or vision exercises. An ophthalmologist (a medical doctor who specializes in eye diseases) may recommend surgical intervention (such as when eyes turn inward or outward, a condition known as strabismus). Occupational therapists also use visual motor activities to promote sensory processing and learning. Begin by asking the student to toss (above her head) and catch a large ball. Next provide a smaller ball to toss back and forth between her left and right hands. Then work on tossing the ball a bit higher and eventually using two balls so that they are juggled. Students can be asked to recite a letter to the alphabet or spelling word during each movement. Suspend a ball from the ceiling. Write a spelling word on a board or piece of paper so that the student spells a letter each time he hits the ball. Grasping a plastic or cardboard tube to hit the suspended ball promotes using the two sides of the body together while performing this activity. Cross Crawl – while hopping in place or skipping across the room, touch a hand to the opposite knee or foot. Lazy Eights – draw a gigantic infinity sign on a board. Trace it with the right, left and both hands together. Double Doodles – grasping a marker in each hand, draw shapes, letters or write words at the same time. Students can recite math facts, read flash cards or spell words while performing cross crawl movements. These reading visual strategies can also be performed while clapping hands or performing jumping jacks. Occupational therapist Lois Hickman recommends drawing letters on a trampoline with sidewalk chalk and them jumping from one to another to spell words. Infinity walk is a methodology created by psychologist Deborah Sunbeck used to promote visual coordination and laterality. It involves walking on a large drawn infinity sign pattern. As the student walks on the pattern keeping eyes fixated on a target, she alternates making left and right turns. According to Sunbeck, this creates new communication pathways in the brain and brain dominance for vision is switched back and forth. In her book, Infinity Walk: Preparing your Mind to Learn!, Sunbeck describes many visualization, counting and spelling activities that promote reading readiness. Scatter alphabet blocke on the table. Ask the student to line them up alphabetically alternating using the right and left hands. Sequence several picture, letter, word or playing cards on the wall. Give the student identical cards to arrange in the same sequence on the table. Looking back and forth between vertical and horizontal surfaces prepares students to copy from the board. Write several letters or words that have reversals on the board. Ask the student to find them, wipe them away and form them correctly. 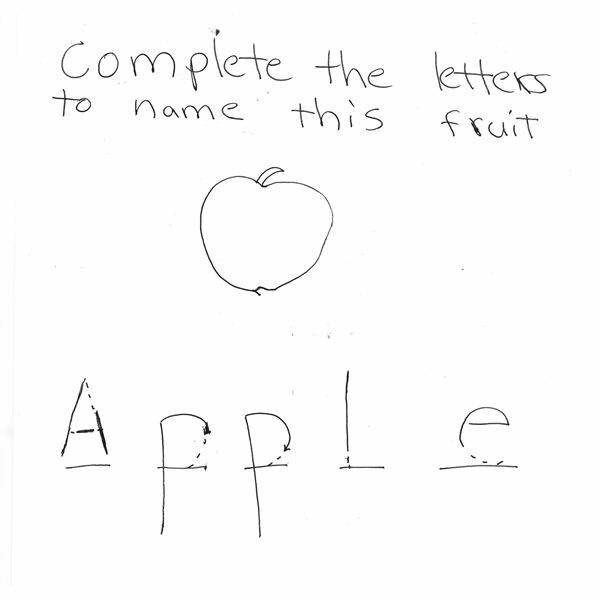 Present incomplete letters in words for students to identify and complete. There are many workbooks on the market that provide activities designed to develop visual and visual perceptual skills, including the popular Highlights Magazine. Many of these activities are easy to make at home and a few examples are provided below. These paper and pencil/reading activities along with the visual strategies described in this article will help all children develop the visual skills needed to read and write. Ayres, A.J. Sensory Integration and the Child. Western Psychological Services. 2005. Dennison P. & Dennison, G., Edu-K for Kids!. Edu-Kinesthetics, Inc. 1987. 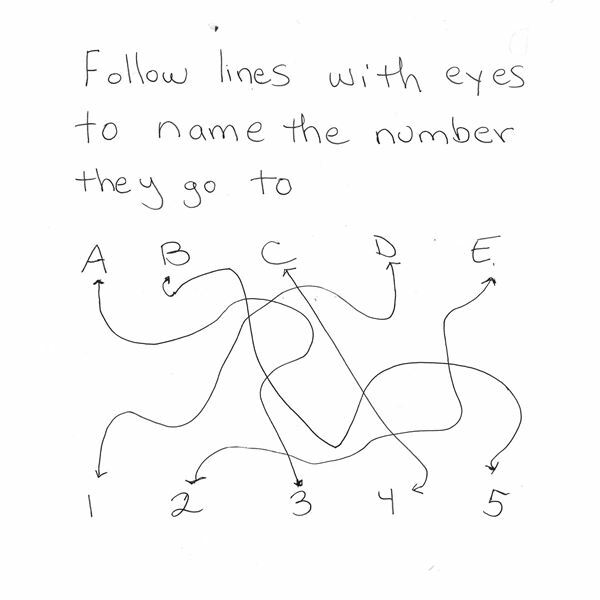 Hickman, L & Hutchins, R., Eyegames: Easy and Fun Visual Exercises. Sensory World. 2010. Kushnir, G., Let’s do-It-Write: Writing Readiness. Achai Publishers. 1999. Richards, R., Classroom Visual Activities, Academic therapy Publications. 1988. Scheiman, M., Understanding and Managing Vision Deficits. Slack Inc., 2011. Sunbeck, D. Infinity Walk: Preparing Your Mind to Learn!. Jalmar Press.1966. Illustrations have been created and provided by the author.